JQ Talks: L'Occitane Reine Blanche Whitening Rich Cream Review! 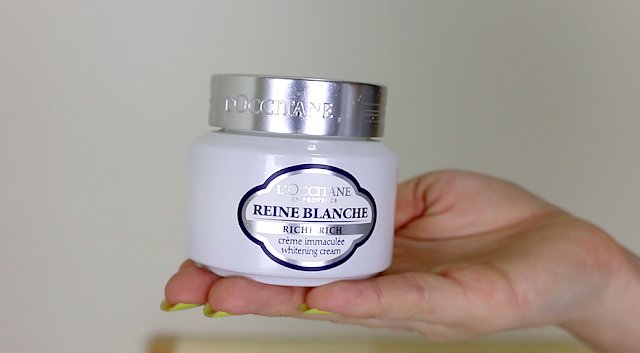 L'Occitane Reine Blanche Whitening Rich Cream Review! I feel so bad, this is a super overdue review that I thought I've written but I actually haven't. :( I must have completely forgotten about this as once I was done recording a video and taking pictures, I immediately passed to my mom for her to try because I believe she will like it. Thus, probably out of sight, out of mind. Thank God the PR person reminded me and I knew I needed to share this out immediately because truly, I love this moisturiser! My video review is as below but if you prefer to read words, carry on scrolling! For starters, thank you L'Occitane for the beautiful PR package! As for the jar itself, it's actually pretty heavy. It's a good quality glass jar that fills 50ml of cream. 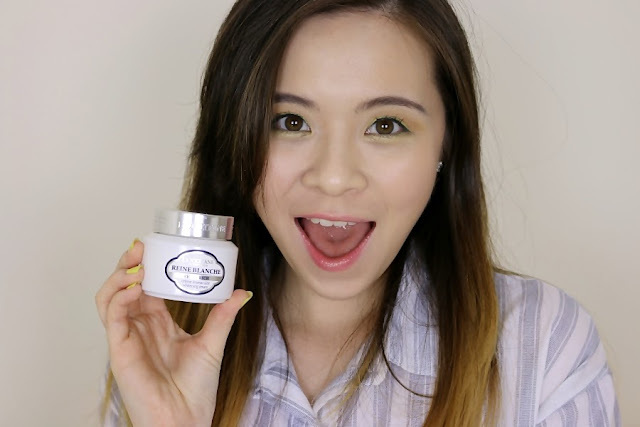 L'Occitane markets this Reine Blanche Whitening Rich Cream as a moisturiser that perfectly nourished skin and re-plumps it with moisture as well as a whitening product. For me, like most skincare products, I usually have the opportunity of using them for about a month or two, and then I will have to move on to try and review another product, thus I really can't tell if it helps me with whitening because that really requires a lot of attention for a longer period of testing time. What I can tell you is that this is a fantastic moisturiser that kept my skin well hydrated and nourished when in an A/C room while I sleep. It does what it claims to do, immediately when I apply this product, I can feel it re-plumps my skin. 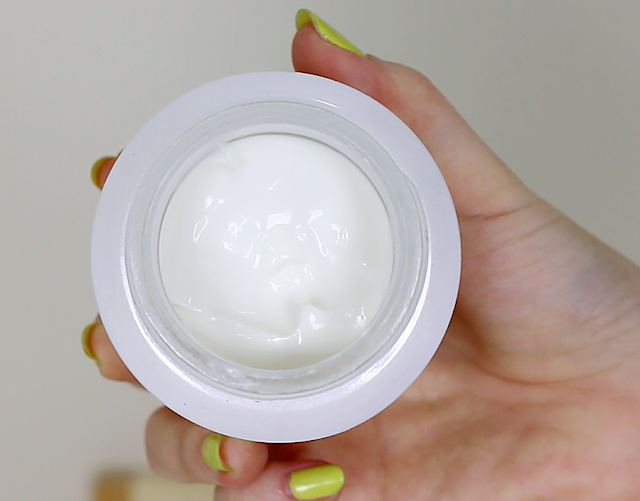 I can tell that my skin do really like this cream as my daily moisturiser. As an additional bonus, this cream smells amazing. It has a faint floral scent but it's not overpowering. I feel that the scent helps me to calm my mind and body, a great way to prep my body to sleep. It also provides a semi-dewy finish on the skin that I quite fancy. I think this a great product for dry skin and I personally will recommend people with dry skin who wants a product with brightening ingredients to try this because I know most brightening products out there are usually quite drying. However, I can't say that this will suit oily skin type. 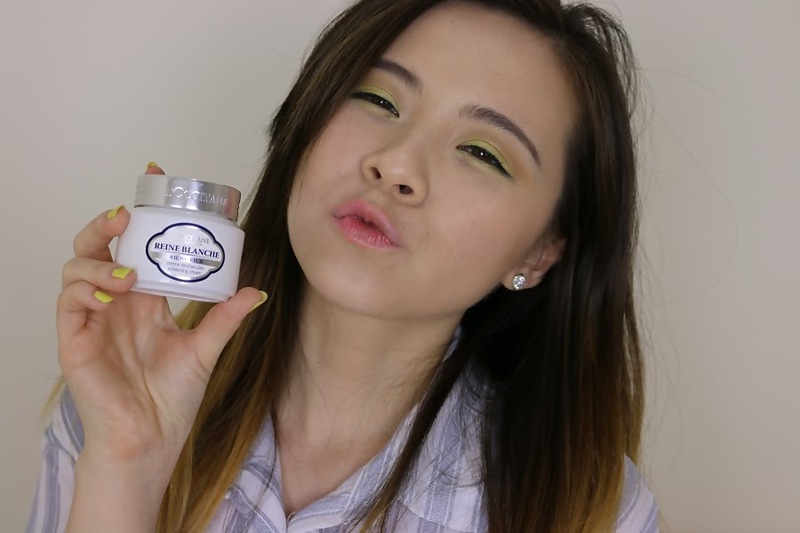 Maybe oily to combination skin type will still find this suitable but probably not for those with severe oily skin. If you are interested, they are available at RM285. 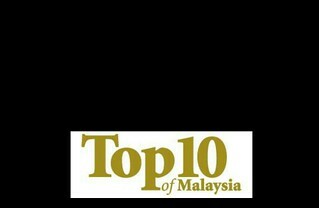 Check out the nearest L'Occitane outlets in Malaysia or you can even purchase them online at my.loccitane.com. Thanks L'Occitane for this collaboration!